The seeds for the next generation of marketing have already been planted. We have augmented reality apps that overlay a game world on the real world. Commercially-viable virtual reality is bringing imaginary worlds into our living room. Artificial intelligence is getting ready to drive cars, read X-rays, even write movies. These new developments hold the possibility of bringing exciting new experiences to our audiences. What used to be science fiction is rapidly becoming part of our marketing strategy. But if we’re only thinking about say, how AR could help increase customer loyalty, we’re missing the forest for the trees. We’re not even seeing all the trees. According to Robert Scoble and Shel Israel, these new technologies are far more than toys or marketing channels. Rather, they’re set to transform virtually (no pun intended) every aspect of our lives. Robert and Shel brought together experts on the cutting edge of VR, AR, and AI to speculate on just how drastic these changes will be, and how quickly they’re coming. 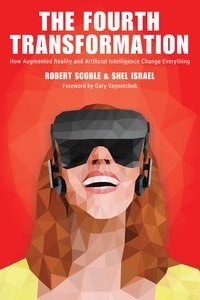 Take a Look: The Fourth Transformation: How Augmented Reality and Artificial Intelligence Change Everything, by Robert Scoble and Shel Israel. 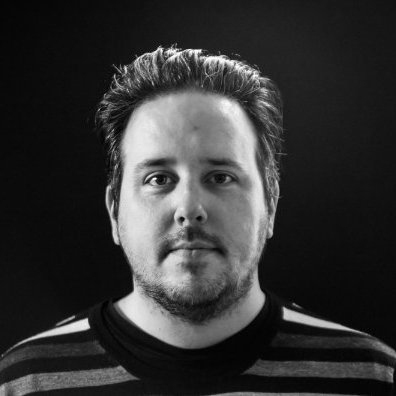 Robert’s official title is “Entrepreneur in Residence” at Upload VR. He’s a renowned futurist and a sought-after public speaker—one of those people who not only predicts the future, but seems to live there. Shel is a bestselling author and public speaker who has delivered keynote presentations on six of the seven continents (Antarctica is still holding out). The Fourth Transformation reveals just how unprecedentedly strange our lives will become in the next 3-5 years. Imagine smartphones replaced by glasses virtually indistinguishable from regular eyeglasses. The ability to touch and feel objects in a virtual space. Searching a Visual Web with images, not keywords or search phrases. According to Robert and Shel, these sci-fi technologies aren’t things that might happen a long time from now. They’re currently being developed and will be available to consumers in the next decade. These societal transformations will fundamentally change the nature of marketing. The Fourth Transformation can help us get ready. Robert and Shel intended the book to be a guidebook for forward-thinking businesspeople, to prepare them for a future that is closer than many of us realize. It’s less speculation than a natural extrapolation from where technology is today, and what technologies in development will soon be ready for consumers. What sets these predictions is apart is the access Robert and Shel have to the facilities where this technology is being developed, and to the visionaries who are bringing them into reality. This unprecedented access gives the authors valuable insight into what’s new and what’s next. Any new way of communicating should be of interest to marketers. Every new communication technology, from newspaper to wireless to social media, has offered savvy marketers a channel to communicate with, and craft experiences for, their customers. As such, marketers should be deeply interested in what the Fourth Transformation has to tell us. What does SEO look like in an image-based search world? If you can virtually transport your customer anywhere you want them to go, where should you take them? How can AR let us guide customers without interrupting them? This book is sure to get you thinking about the next phase of technology and what it means to marketing. It may not contain all the answers, but it will definitely get you asking the right questions. You can find Robert on Twitter @scobleizer and Shel @shelisrael.